A National Cancer Institute (NCI) program project grant to study the genetic basis of and therapy for secondary leukemia. 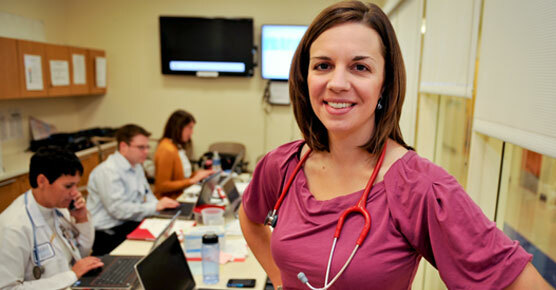 University of Chicago Medicine Comprehensive Cancer Center director Michelle LeBeau, PhD, leads the NCI program. A Cancer Research Foundation Award to identify new leukemia targets, distinguish molecules to block those targets and develop new clinical trials using these agents. Working on this research are John Cunningham, MD, Michelle LeBeau, PhD, Kevin White, PhD, Harinder Singh, PhD, Yves Lussier, MD, and Richard Larson, MD. 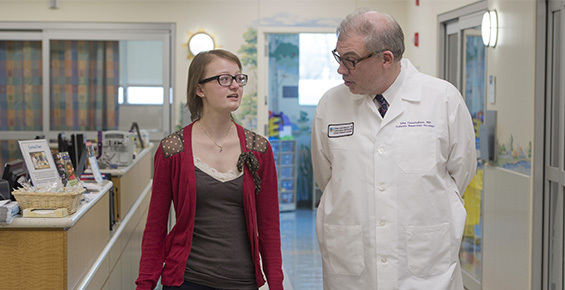 At any given time, we offer more than 30 clinical trials for the treatment of leukemia. These include first line therapies, therapies for children with refractory or relapsed leukemias, stem cell transplantation strategies and new phase I drugs for leukemia. These partnerships and collaborations further our ability to bring the latest treatment innovations from the laboratory bench to the patient bedside as quickly as possible.